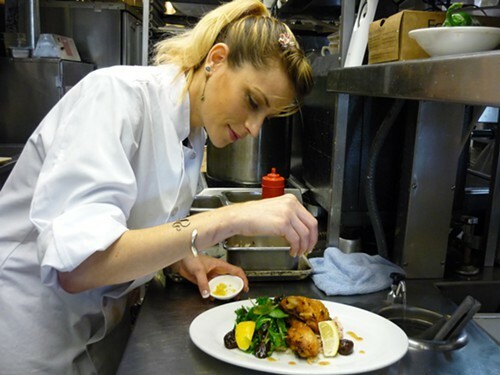 1) For the past eight months, Saul's Deli has had a new chef de cuisine, 31-year-old Elisheva Isaac, who has the distinction of being the first Israeli chef in the Berkeley institution's 25-year history, according to J Weekly, which ran a nice profile of Isaac last week. While Saul's has always prided itself on serving Sephardic dishes (with seasonal vegetables and interesting grains and legumes) — not just big beef sandwiches — for the past few months Isaac has added her own personal stamp to the restaurant's specials menu: chicken roasted with zaatar and honey dates, Moroccan baked fish served over Israeli couscous, the Yemeni pancakes known as malawach, homemade labneh, and more. J Weekly notes that Isaac keeps kosher in Saul's non-kosher kitchen, which means even though she tastes all the dishes she prepares, she doesn't always swallow. Hat tip to Inside Scoop for first bringing the story to our attention. 2) Berkeleyside broke the news of the plans afoot for the recently shuttered Cafe Fanny space: a coffee and wine bar called Bartavelle, to be opened by chef Suzanne Drexhage (of Kermit Lynch Wine Merchant, next door). Drexhage's son, Sam Sobolewski (formerly a barista at New York's Joe: The Art of Coffee) will also be involved. Inside Scoop provides additional details about the menu, which will include Sightglass coffee and things like tapenades and pizza bianco. A late June or early July opening is being targeted. In the meantime, Berkeley resident Luigi Oldani will be serving Sightglass espresso drinks on the patio from 7:30 every morning. 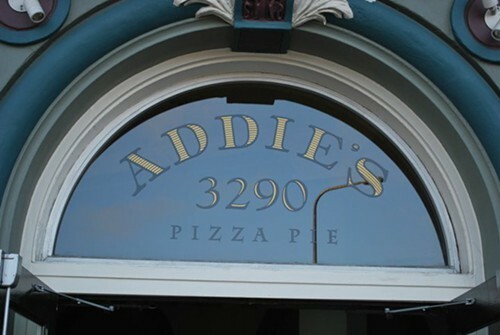 3) Also from Berkeleyside: After 20 months in business, Addie's Pizza Pie is now closed. Meanwhile, the Bagel's Beauty Shop folks had been using the wood ovens at Addie's until they got their own place up and running — Tablehopper confirms that they'll still have access to those ovens for the time being. 4) Victory Burger, the burger joint opening in the space adjacent to North Oakland's Actual Cafe, is about a quarter of the way toward reaching its $25,000 Kickstarter fundraising goal. To promote the project, the restaurant will be hosting a Memorial Day "Victory Cookout" on Monday, from 2 p.m. to 6 p.m., on the sidewalk in front of the space. Check it out for free tastes of their burgers, vegan/gluten-free arepas, and pickled veggies. 5) Diablo Dish brings news that Rosamunde will be opening up a new sausage joint in Old Oakland, at 911 Washington Street (part of Swan's Marketplace). Owner Josh Margolis is aiming for a July opening. Meanwhile, Tablehopper notes that Margolis' partner at Rosamunde, Jennifer Tucci, will be opening a new restaurant on Lake Merritt called Portal (in the former Wasabi space). The restaurant will open in about six weeks serving largely vegetarian California fare. 6) In other vegetarian-friendly news, Grub Street reports that the Jack London Square neighborhood's Beer Revolution will be opening a restaurant in the space next door (468 3rd St.). The owner, Fraggle, is a vegan, and he plans to open late this summer with a European vegan/vegetarian menu. 7) In its latest attempt to rebrand itself as "fresh" and "healthy," McDonald's has launched a new marketing campaign: "Rediscover What's Under the Golden Arches." As part of this PR blitz, the McDonald's branch in Berkeley, on San Pablo Ave., invited various members of the media to take a kitchen tour and participate in a rap session with a (McDonald's-hired) nutritionist. Berkeleyside posted one account of the experience last week, and the local CBS affiliate also aired a segment. "The strawberries are from Watsonville." 8) Finally, in case you missed it: Chinese restaurants in the East Bay are slowly recovering after kitchen fires, and Off the Grid is coming to Alameda.